Half-Hour Hegel: The Complete Phenomenology of Spirit (eventually): The Introduction Is Finished! Caught up in the busyness inherent in the holiday season, and trying to keep afloat while teaching three online courses, I realize that I neglected to mention here that all of the remaining videos covering the Introduction to the Phenomenology of Spirit were shot, edited, uploaded, and released by late December. Even worse, I didn't post them in the video page! 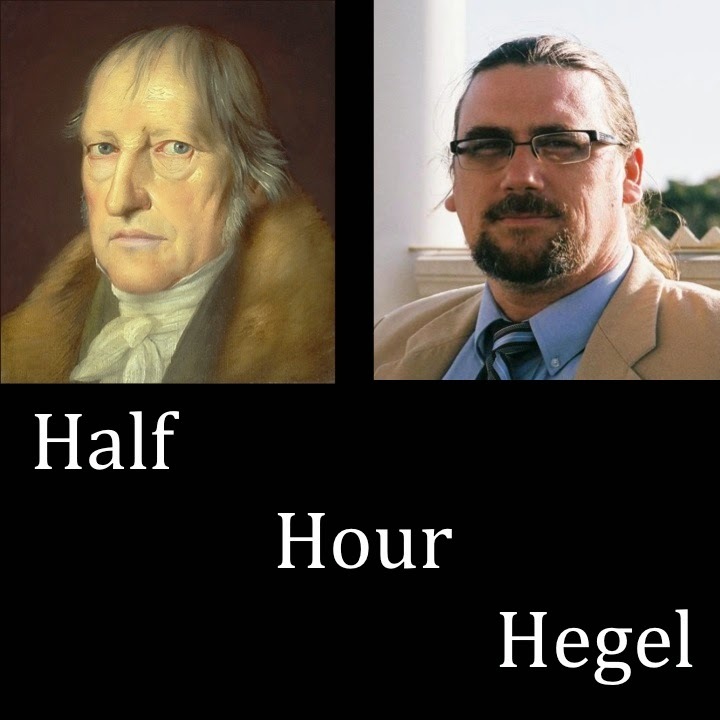 Well, "worse" understood very relatively, of course, since no real Hegel-admirer is going to allow him- or herself to get very worked up about a few links not being posted here (one can always track them down, with just a bit of application, and some search savvy!). After working our way through the Preface and Introduction, we're now ready to begin the Phenomenology proper, going into the section on Consciousness, starting with Sense-Certainty. I've already started shooting some of the first bits of video footage. . . .
Let's see just how far we can proceed into the labyrinth of the Spirit in 2015! In the Meantime, A Bit of Fun. . .